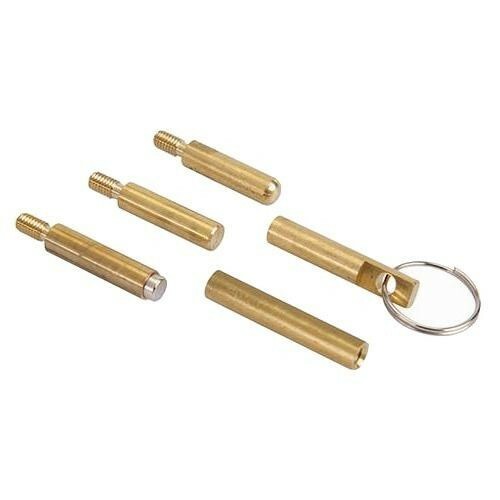 Brand New Cable Access Accessory Kit (5 Pieces) Accessory set for use with cable access kits. Contents 1 x magnet, 1 x gender changer, 1 x domed bullet, 1 x flat bullet and 1 x ring end. Brass connector dimensions 7/8" L x 1/4" dia. Thread 4 x 0.7mm. Compatible with Silverline Cable Access Tool Kit (633570) and Silverline Cable Access Kit (633531).